Welcome to the Kenai Princess Wilderness Lodge blog! We are very excited to get the blog started. For this first post, we are sharing a photo of 3 Princess employees and three guests. 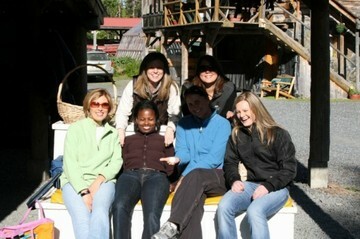 The photo was taken just after a fishing excursion, just down the road from Kenai Princess. Stay tuned for more fun photos and stories!